Visually communicate computer networks architecture, topology and design to simplify and accelerate understanding, analysis, and representation. Use more than 2 000 pre-designed 3D network elements for customizing your network diagrams. Computer & Networks solution allows you for design 3D LAN and WAN, schematic and wiring drawings. 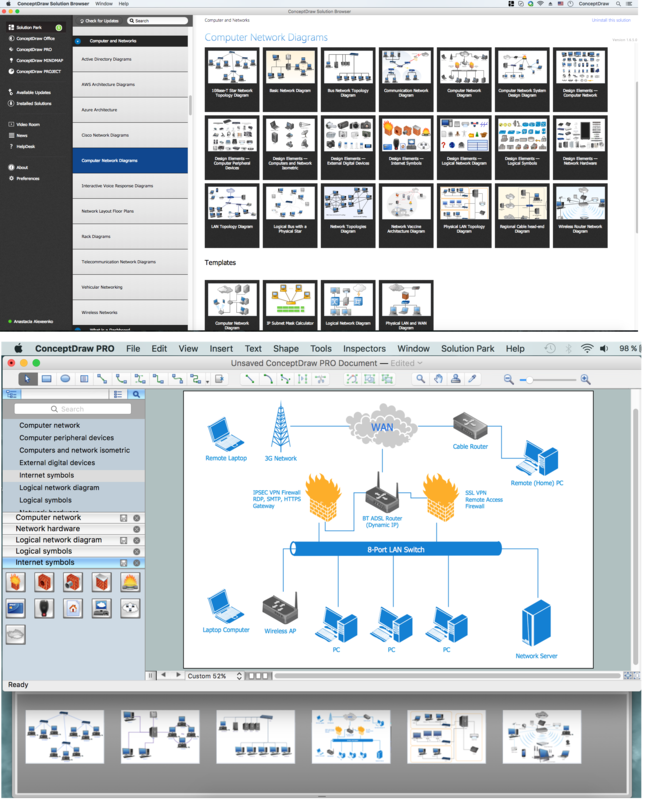 Use ConceptDraw DIAGRAM software with tools of Computer & Networks solution for drawing 3D computer communication network architecture, topology, logic and wiring diagrams, LAN and WAN schematic drawings and maps. This 3D network diagram sample is created using ConceptDraw DIAGRAM diagramming and vector drawing software enhanced with Computer & Networks solution from ConceptDraw Solution Park. 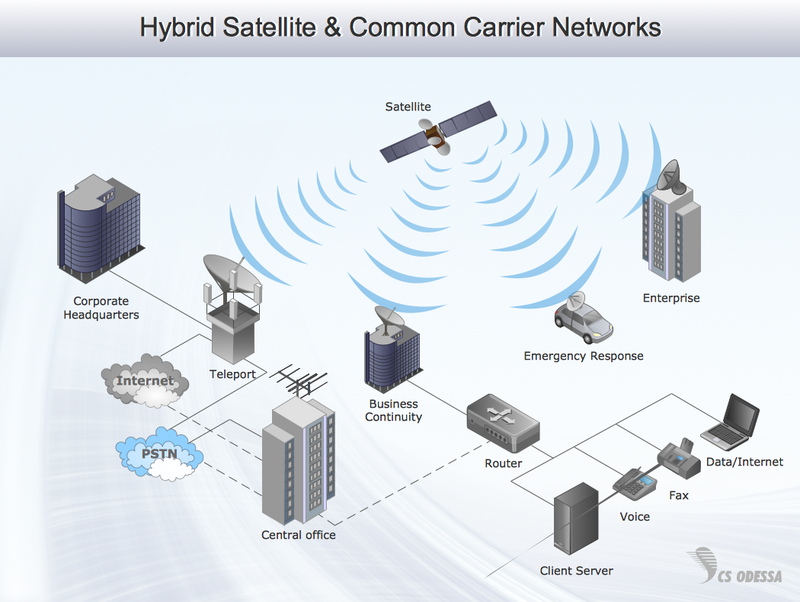 3D Network Diagrams are very popular diagrams in the field of network technologies. They have more visual, clear, attractive and understandable look than 2D. ConceptDraw DIAGRAM v12 gives the opportunity to draw the professional looking 3D Network Diagrams easy, quick and effective. This example shows the 3D Network Diagram. It was created in ConceptDraw DIAGRAM v12 using the 3D network elements from the Computer and Networks solution from the Computer and Networks area of ConceptDraw Solution Park.